INFINITI factory certified service center in Colorado Springs, Colorado! 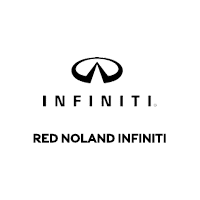 When you arrive at the Red Noland INFINITI service department you will be greeted by the same smiling faces you met during the purchase of your vehicle. We are dedicated to making sure you know every detail about your vehicle’s performance and that we understand and address any questions you have. We offer the full range of INFINITI services available. We can do everything from simple oil changes, up to rebuilding your INFINITI after a crash. Our INFINITI factory certified technicians are available to assist you with any factory recalls or warranty work as well. Trust or certified technicians to properly care for your can or SUV. We offer factory INFINITI service, repair, maintenance, warranty repair, and tune ups. We know your time is valuable and will bring a luxury loaner vehicle to your home or office and pick up your car for service. When your car is ready, we will deliver it back to you and return the loan car.